Soaring through the skies with their wings at full length, these beautiful golden eagles fly through the skies in a glorious training session to hunt their prey. 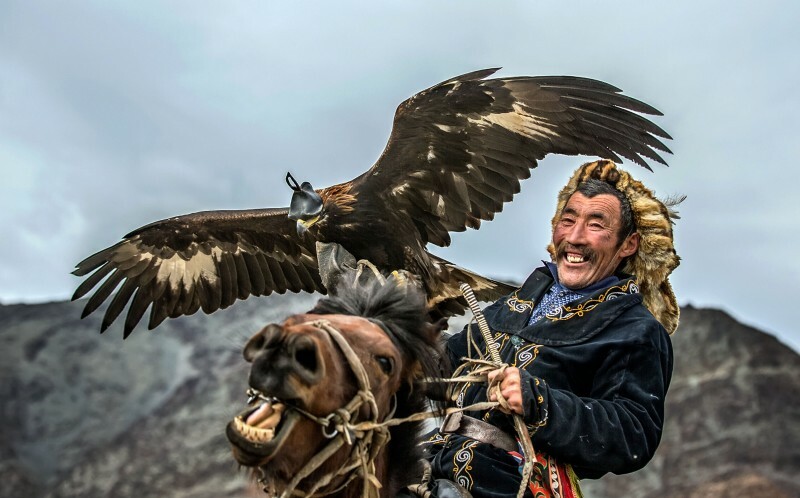 Batzaya Choijiljav, 41, from Mongolia snapped these magnificent pictures of the in-flight eagles at the annual traditional Kazakhs’ festival in October 2015. 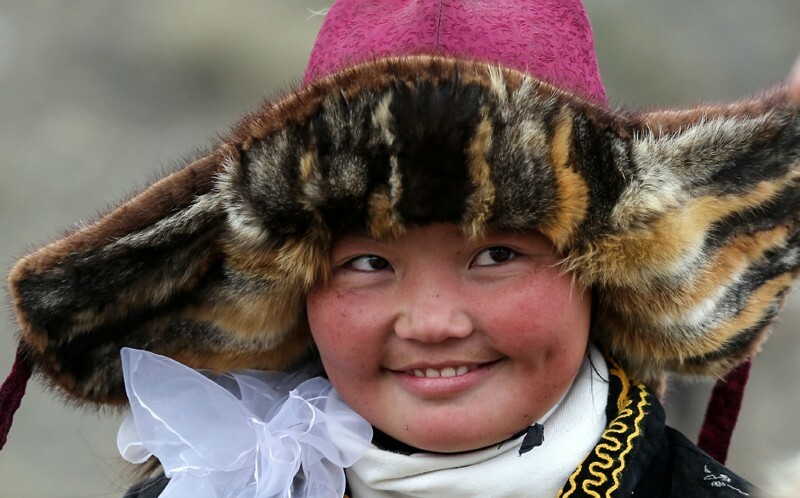 He said: “The photos were taken during the 17th Golden Eagle Festival in the Bayan-Ulgii province in Altai Mountains of Western Mongolia and the festival is just amazing. 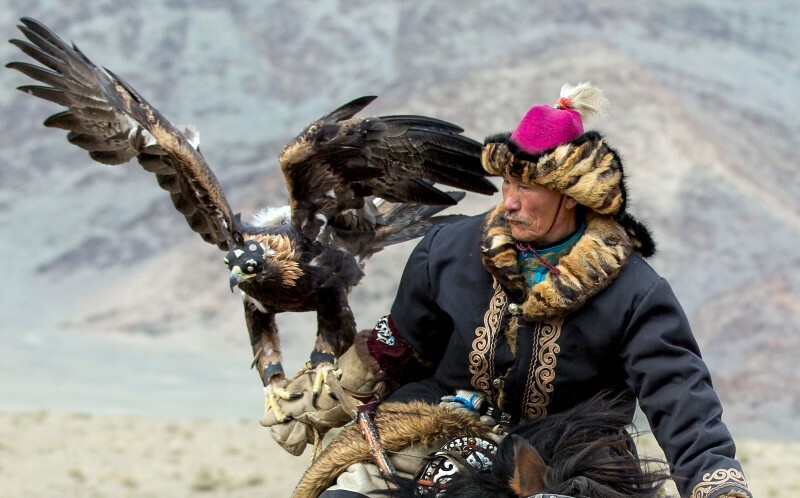 “The festival was founded in 1999 to preserve Kazakh’s unique culture, tradition and to protect golden eagles. 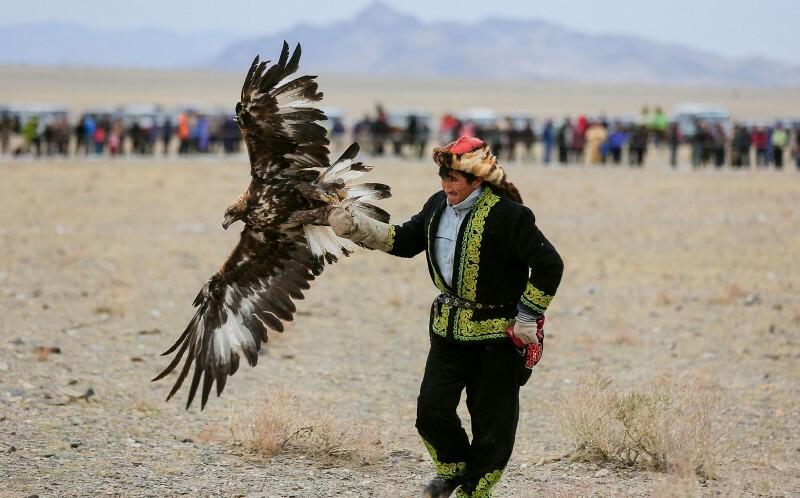 “It is run by the Mongolian Eagle Hunter’s Association to celebrate their heritage and compete with each other to catch animals with specially trained eagles. The photographs of the festival are so spectacular thanks to the stunning mountain views, but also the majestic eagles at work in many different scenarios. 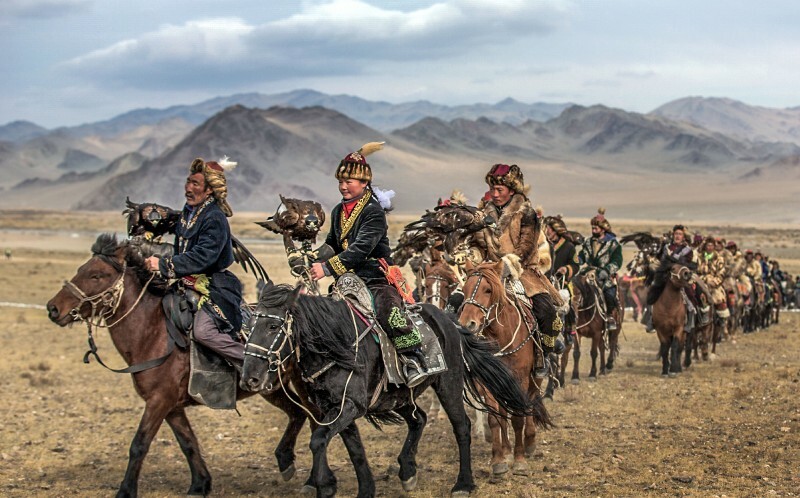 Dressed in traditional Indian dress-wear, the trainers line up on their beautiful equine friends as they prepare to send the eagles for their hunt. Generally, young and older men used to participate in the festival but it had started to introduce females, which keeps the younger generation unique to the future. 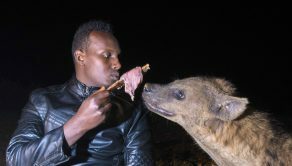 The staggering poses the horses are captured in, express their professionalism to the hunt, to race into the wind to allow the trainer release the bird of prey.